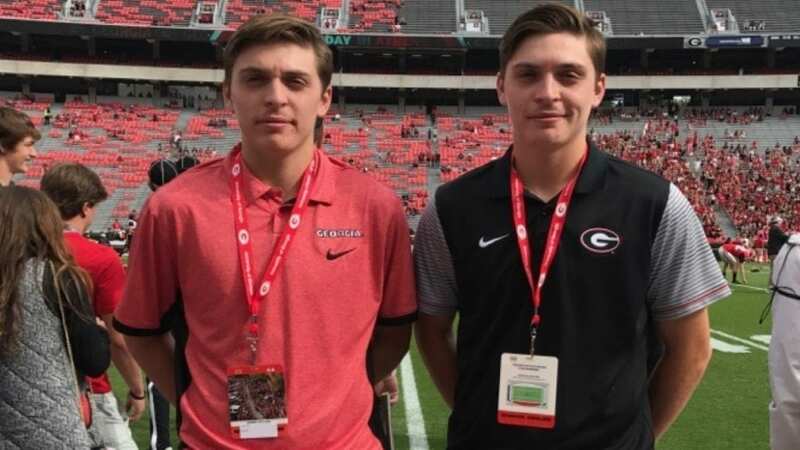 ATHENS, Ga– Connor and Cole Tate are seniors at Oconee High School. They have been playing on the same baseball team their entire lives. And on November 9th, 2016 they signed to play baseball with the Georgia Bulldogs, together for the next four years. “We’ve always wanted to play together at the next level and if we play togehter at the middle infield we just have the duo to do it but I mean just being able to play with him is a good feeling,” says Cole. When they were just eight years old, their dad built them a baseball field in their backyard. Both boys said this was a huge factor in their success so far. Later their dad also built them a batting cage so they could practice hitting. All this extra practice helped the twins lead Oconee county High School to a Class 3A state tournament last season. A season where Connor had a .414 batting average last season with 21 RBI’s and 27 runs. Connor also had four saves last season. Cole at second base set a new school record with a fielding percentage of .967, put up a batting average of .434, and recorded a .560 on base percentage. Cole also had 26 runs and 13 RBI’s. The boys will be joining a Bulldog team that went 27-30 last season. So the Tate boys are eager to step up and help. “I’m just hoping we’ll work hard and try to starting spots as freshman and the main goal is to try and get drafted after three years,” Connor says. But for now, the twins are just focused on having a winning senior season at Oconee High School.